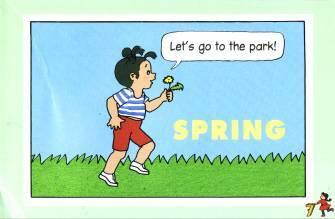 TOM SPURGEON: The Toon books you sent out, the advance copies of the Spring line, they look really nice. They're very assured. FRANCOISE MOULY: Thanks. I'm amazed that I'm where I'm at. I always assumed that I would be doing this with an established children's book publisher. HarperCollins, with whom I did Little Lit and so on. I've been working on this for years and lo and behold the logical trajectory was to go back to my source and self-publish. Which is very amusing but also terrifying. But here we are. SPURGEON: Were you surprised that the booksellers wanted to cherry pick the books a little bit? MOULY: More than a little bit. 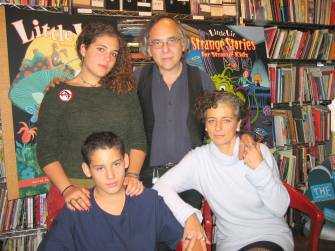 It was strange that 30 years ago when I was doing RAW I did it because we had tried, Art [Spiegelman, Mouly's husband and partner at RAW] and I, to talk to anybody who was a magazine publisher or editor or other publisher, and nobody else was doing that. So it was by default -- "Okay, we'll show them." It was easier to just do it, and then show them what it should be like, than to talk people into doing things. And here I assumed that we were way past that moment. That it was going to be easier to publish comics and certainly among the children's book publishers that I approached, that they would not argue with me. "Oh yeah, it's a great idea." They all said "It's a really wonderful idea. It's beautifully executed." Every single one of them was really impressed. "Oh, of course. It's obvious. 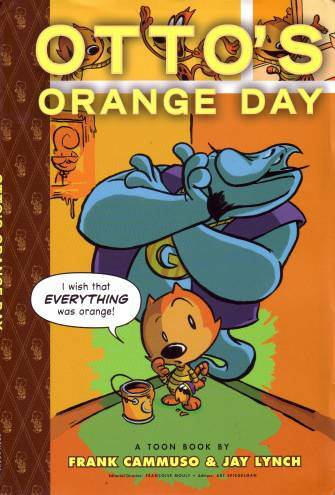 Comics for young kids. It's really well done. [pause] We wish we could do it, but we can't." That was a surprise to me. I went to see every publisher in town at one point or another, kids book publishers, and consistently what they ended up saying was that they don't have the means to start something new. So over and over again it was, "This isn't what we do, and there's no place for it in the bookstore." 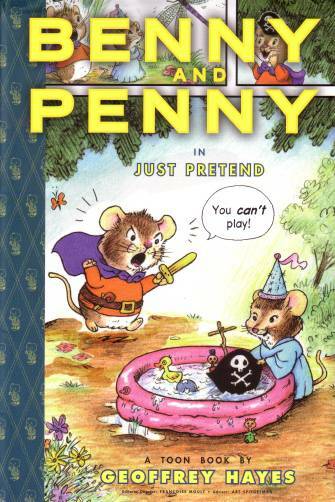 Which is exactly where we were at 30 years ago when Art was submitting Maus to publishers. It wasn't anything they were doing, and there wasn't any place for it in the bookstore. One of the publishers I talked to felt they didn't have the means to start a new category. Then they would start looking at my books and then they would say, "Maybe we can take this one and change it a bit and reincorporate it into a format that exists." It wasn't always the same one that they would pick. They didn't want to start a new line of books. SPURGEON: Where are you now in terms of day to day work on the line? MOULY: [laughs] You want a short or a long answer? It's backbreaking. It's because we do everything. I have a day job. It's not inconsequential being the art editor of the New Yorker. In my spare time, we basically are talking to artists about developing books for a year or two from now. Doing the production on the books that will be published in the Fall of '08. I'm overseeing the printing of the Spring '08 list. And dealing with the so-called marketing plan with a publicist and with Diamond. All at once. With no real staff. Bill [Kartapolous] has been helping me with a month or so. I had other people before. I have interns that help me at my day job at the New Yorker. I make them fold dummies as well. I use every resource I can to put all of this together. What is surprising to me is the amount of work and attention. I knew that I would have to parts of it that I am doing, the editing and the back and forth with the artist, and the shaping of the work, and then I would have to do the production, but I like doing the production. Part of making books for me is making the object and dealing with the printer. Even when I did books with HarperCollins, the Little Lit books, I actually delivered printed books to them and supervised the printing. With the Toon Books the part that I am directing again, it's good because otherwise I probably wouldn't have jumped into doing it myself, is making the marketing plan. That's something that's far more money and time and brain cells than I ever expected. SPURGEON: One thing I wanted to ask you, you just mentioned your editorial process. I know that you're big on giving your artists the maximum amount of freedom. But there are very specific aims I'm guessing you would have with books like these. MOULY: Exactly. Part of what's interesting to me is the learning curve. Again, I've done this for so many years. Editing pictures that have meanings, narratives. Pictures and words, I've done this for many years. In the process always with the New Yorker, it's one kind of baseline, which is my response to see, art has to do her work or his work as clearly what he intended or she intended as possible. 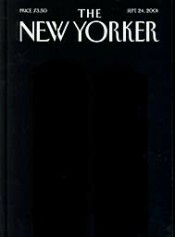 If it's a New Yorker cover it has to be instantly readable, it has that kind of presumption in terms of the audience. You don't dumb it down. The audience has to bring their own understanding into the image, otherwise there's no fun to it. That's true of the works that we put in RAW. At the time when we were doing RAW there was another magazine, Heavy Metal. They had constraints, such as a specific theme, science fiction. For us, there was no common denominator in terms of "This is all going to be adventure," or whatever. The common denominator is that the artists were true to their own artistic endeavor. And as editors we were trying to make that as clear as possible. Now when you're doing stuff for children, it's like that and it's completely different. There's also a stage where it matter that the artist is true to her stated intention, but it also matters that a child of a certain age can decipher it. The reading of words and pictures is different than that of work for an adult. For example, very simple things such as the balloon order has to be consistent and clear. The positioning on the top and the left, from the left to right, this is not the time or place to start playing with this, however it might work for a different audience. The visual storytelling has to also be very self-contained. You can't presume that a child knows that this is a reference to a Winsor McCay picture or whatever. That doesn't mean it has to be dumbed down any more than the works that we are doing for adults. It means that when someone writes a story, the first stage for them to do a paragraph description and to do the first breakdowns, and then after that, once it's written, I go over the language with a teacher, and make sure that we try to keep within a certain amount of vocabulary, depending on the complexity of the book. Part of doing a line, what's interesting to me is to do quite a range of different books. So there are some that are first books, and some that are for kids that are already a bit more advanced. In all cases, I go over it first with a teacher who will say to me, "This word is hard to read." And offer suggestions as to other phrasings that might be easier to decipher in terms of the reading level. I work back and forth with the artist to incorporate those suggestions. Then I'll do what I just did recently with our Fall books: I'll go to school. I tend to go to schools with kids not like my kids or my friends' kids whose parents have read to them ever since they were in theirs mothers' bellies. These are kids that haven't had any kind of exposure to books or to comics. Just to make sure that everything is decodable for them. I went to school in the Bronx and we read the Fall line with first graders and the couple of the second graders. It's wonderful. Teachers give us a lot of feedback on the word part, but the visual is something that we only see in the reading of it. The kids are far more sophisticated visually. As we were hoping, they read so much of the story in the facial expressions and body gestures and the staging of the books. They were able to read and do the voices at the same time, which is unheard of at that age. Somebody asked me, "Are you doing market testing?" I said, "No, no!" It's more that I'm refining my editing process. These are things that I do without realizing they need doing. There was a sequence in one of the books that we read that had some kind of cross-cutting. Where one of the characters likes the other and then they remember, "Meanwhile..." And we'd get there and I'd realize, "There's a lot of inference here." So we needed to straighten it out. So we straightened it out and we're re-writing one more time in the captions to make it clear to the reader. I don't think it's fair to say, "I'm doing this for young kids," and then to have a kind of cross-cutting. I prefer for it to have a straight-forward narrative. Clean and clear. SPURGEON: Is there anything about the way kids develop their visual skills these days that you've come up against? I would figure that kids today would develop their visual abilities not so much through reading but through video games or television. MOULY: That's a really good question. I knew that I wanted to capture the interest of kids that had never seen comic books. I put the books on the table at the various schools I've been at. And again, I'm going to schools where I know the kids don't have any kind of book or print support at home. They grab the books right away. There are some that are more appealing to little boys, and some that are more appealing to little girls, but this isn't that hard to figure out. 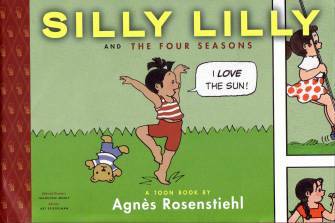 There's one, Silly Lilly, with a girl dancing on the cover, and boys will stay away from that. But the bears by Geoffrey Hayes are more unisex in the sense of their appeal. In the Fall we have a book by Jay Lynch and Dean Haspiel, boys gravitate to it and girls are a little more reluctant, and so on. I did ask, What do you think of this" The kids all say, "this is just like cartoons. We like this drawing because it's just like cartoons." That is part of our intent when calling them Toon Books. It's a frame of reference for them. Even though they've never seen comic books -- Geoffrey Hayes looks like comic books of 40 years ago, and Dean Haspiel's book looks like a superhero book -- those things have been put in front of their eyes often in the form of Saturday morning cartoons. They have positive associations with that. Because of two things: 1) it's pleasurable, and 2) it's for them. They clearly respond to it. They think of it as something for them. Many, many, many kids grow up without any print around. There are no books, there's no magazines, there's no comic books at home. At school they're told they have to learn to read or they're an idiot. The books that are put in front of them are on two sides of a divide. These are the picture books and these are for babies... they are supposed to grow out of this. They are supposed to learn to read god knows how and then get to the point where they can read without pictures. They're to get beyond needing pictures. A couple of the kids look at our books and say, "These are chapter books?" And I say yes. That's one of the things I picked up from talking to the teachers. That the process is for the child to become so literate that he actually doesn't need the pictures anymore and he can read a chapter book. By definition, they're not illustrated. At that point you can drop the pictures because the kid is literate enough. And for the child, in a way that's such a loss. Because it's something they do like, and it's easy and natural for them. The other thing that works very well, is that even though they may not have seen comics, they know comics are for an older kid. They know that big boys or big girls read comics. That the 8-12 year olds read comics. The child very often wants to have something that's not something that's his or her age but something that's for an older kid. If you want do a traditional children's books for six-year-olds, you don't use a six-year-old character, you use an eight-year-old. You put it one step above, because the motivation for the child is to discover something they don't know. They want a world that's slightly ahead of where they're actually at. Similarly, even though they might be more comfortable reading a baby book, picture books tend to be dismissed by them as baby books, but comics are for big kids. When we were doing Little Lit we were talking to the publicist at HarperCollins about the age bracket. They said we publish for specific age brackets. And we said, "We're doing it for all ages. From 7 to 77." We got our way, and Little Lit is all ages, but the truth of the matter is that in terms of distribution there is a reason for what they're doing. It didn't help us to buck this trend. Kids that are seven and kids that are nine aren't at the same stage and don't want the same thing. We live in a wonderful world where kids can be surrounded by books and comics, and it's great to have something that's all-ages. I've seen a lot of instances of parents giving kids Little Lit that are two or three years apart and each one of them gets something from it. But in terms of the world we actually have to deal with, with comics not getting into the hands of kids, it's more acceptable to be specific as to what age group. It's the same for video games and so on and so forth. It's not the same to get a video game for an 8 year old and a 12-year old. SPURGEON: Your Spring line-up of authors has that kind of classic RAW feel of bringing authors from multiple places within comic books and visual culture. One of them, Geoffrey Hayes, I take it is a children's book author? MOULY: He's Rory Hayes' brother. I don't know if you know about Rory Hayes. SPURGEON: Oh, my goodness. That's who that is. MOULY: They both grew up as kids reading Golden Age comic books, and they both became cartoonists. Rory is dead now, but as you know, he was an enormous influence on underground comix. It's certainly not work that I would show anybody in the kids' book world. 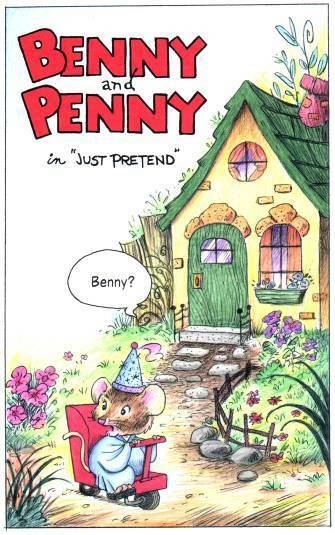 Geoffrey continued being a cartoonist and a children's book artist. 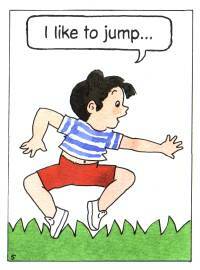 He did a lot of work in children's books and always wanted to do comics but was not encouraged to do that because a lot of the publisher he was working for wouldn't publish comics. He was more than pleased when I got in touch with him because it's something he always wanted to do. 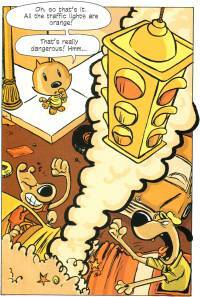 Agnes Rosenstiehl is a French cartoonist. She's hugely successful in France and completely taken for granted. She's done over a hundred books. The character which is the one that we're publishing here and which we call Silly Lily here and is called Mimi Cracra in France is read by everybody early on. Her talent is not recognized. I think she's terrific and her work is very sophisticated and deceptively simple. Frank Cammuso and Jay Lynch: you know their two backgrounds. Jay is probably Art's oldest friend. I think they met when Art was 13 or 14 and Jay was 15. They were both doing fanzines. He's wonderful, quirky... he works for Topps when he's not doing his own books and his own strips. It seemed very natural to call on him. 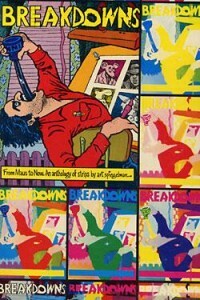 Frank, as you know has done his own books as well as his being a political cartoonist in Syracuse. 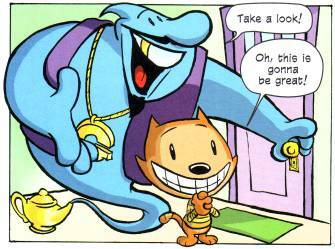 They collaborated well... it's good to have two cartoonists working together. On the other end I worked with Jonathan Bennett for the design of the books. Jonathan is really a treasure to work with. We got exactly what we wanted: something that feels like a classic, and feels like a children's book. We've done some conventions, and librarians and teachers stop by the table at Diamond Comics. And they say, "Oh, we didn't know you also had regular children's books." They were completely dismissing the fact that they were comics. Which is exactly what we wanted them to do. That they would look and feel like real hardcovers. We want the kids to discover not just the pleasures of the comics, but also discover the pleasures of a book. The tactile pleasures of a book. When we were reading books with the kids, they would fight over who would get to turn a page. They would want to go back, they would want to read it again. Which is what you do when you're reading a book, and is a very different process than when you're watching a movie. It's not the first thing a kid will say: can I go back? Kids get eager for it. It's a different experience than when you're watching something. SPURGEON: Did you go with the size of your books to emphasize the carry-along aspect of having a book? MOULY: Yeah, there was another consideration. At some point, we defaulted on the horizontal format for Lily because it was intended as a first step. 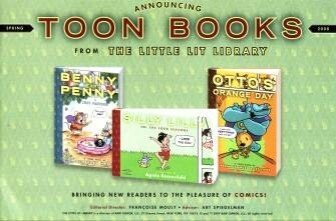 We had a version of the book formatted the same as Benny and Penny and Otto, and it wasn't as clear that she was going left to right and then top to bottom. The landscape format mandates that it's read left to right. It was very helpful. We had a larger format for books with more panels per page, but we ran into a contradiction in that the library, the bigger books were for younger kids. Again, the kid is pushed to read a more portable chapter book. So we stayed with that smaller format because it's more like a "a real book." It's not that different from the kind of thinking which we did with RAW when we decided to do a larger format because it was more suited to take a measure of the work, or Maus when Art decided on a paperback size for the book that didn't exist at the time. He wanted it be received like a literary novel. SPURGEON: One thing I've always wanted to ask you... You've been doing this for a long time, Francoise, both just generally making books and even now working with children's books, and I wondered if there was a core interest you could identify, a driving interest in doing this work for so long? MOULY: Making a book is a magical thing for me. I've been doing it for 30 years. Before that I was studying architecture. Before even that I thought I would grow up to be a surgeon because my dad was a surgeon and I decide that that's what I would do. And then naturally I got to the point where I wanted to find my own thing. I started in architecture and I got very frustrated at the gap between what we were told as art students, which is that we were the artistes. "Design a new city" is an assignment we got in our third year. I had such a problem with the assignment. I was arguing with my teacher, "Wait, it's completely presumptuous to design a city. What do you mean? Cities don't get designed by an individual." And so on and so forth. That got me really bad grades. [Spurgeon laughs] I was very frustrated. I came to New York as a way to step away from a destiny where I would inhabit the past which was right in front of me, where I would spend seven to eight years school designing new cities and designing a museum for this and designing a school of that. And then the reality was I would work in an architectural agency and basically do drafting for nice house with slanting roofs. Especially in the '70s when I was a student there was such a gap between what we were told to do and what we could do in the real world. When I came to New York, I fell in with a milieu of artists. I was in a play by Richard Foreman, I was hanging around the Collective for Living Cinema, Stan Brakhage and independent filmmakers. I really loved the whole process of the art and the intellectual challenge of what was being done. The problems I had had to do with the difference between what the artist was doing and that in order to accomplish this they had to apply for grants. There wasn't really much of a connection between what the artist made and the interest of any kind of public audience for it. In order to be in the art world, you had to be part of a small group. It created a kind of difficulty for me. There would be four and half hours show of very difficult work. When I met Art, and I discovered the work he was doing at the time -- he was in the middle of doing Breakdowns, gathering the strips he had done -- something clicked. There was something wonderfully intelligent and challenging, but it was also funny and perfectly readable. And it didn't dismiss its audience. It communicated. I learned about graphic design and production working on Breakdowns and went to a printer and immediately fell in love with that. You could actually make something that had the qualities of an art object and a literary work, and it could be sold in a store for $5. I thought, "Oh my God. This is so magical." I learned printing at a trade school at Bed-Stuy and bought myself a press. I started making things I then printed and folded and stapled and brought it into stores and put on the racks. That was so exactly what I wanted. If people wanted it, they would go it. I didn't need to go and beg someone to give me a grant to make my art object. It could be gotten by somebody who wanted it. That has been my driving desire. I could conceive of something, make it happen and if anyone wanted it, they could get it. It was true with my work at the New Yorker. I could do something like the black on black cover I did with Art. A million copies were printed and it could be seen on the newsstand and that it would have the resonance of art. That's magical for me. It really is. It's not a rarefied experience. It's something that's available. After a few years at the New Yorker, I had the need to do something that was on the scale I understand. I could have taken RAW to a bigger scale magazine, but I chose not to, because I like doing things with my hand. My father was right: I like doing things with my hands. I want to be able to hold the object in my hands. I had to write a proposal when I was going to the publishers, but what I really had to do is work with the authors and make little dummies. It was at that point I realized, "I know what I want. I might as well do it myself." the CR Holiday interview series continues through Monday with two interviews scheduled for each day. Tuesday, January 8 marks a return to this blog's full array of regular features. We thank you for your patience.